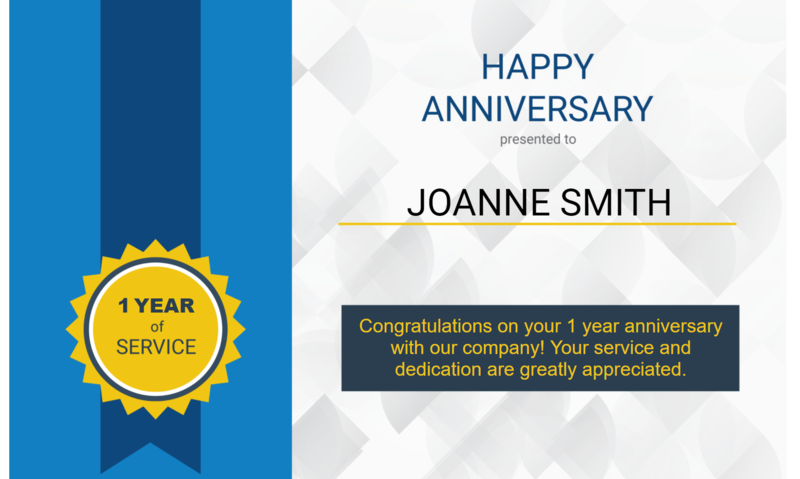 Our service award solution is designed to celebrate each year of service an employee has with your organization. We work with clients to create customized award experiences for each milestone. 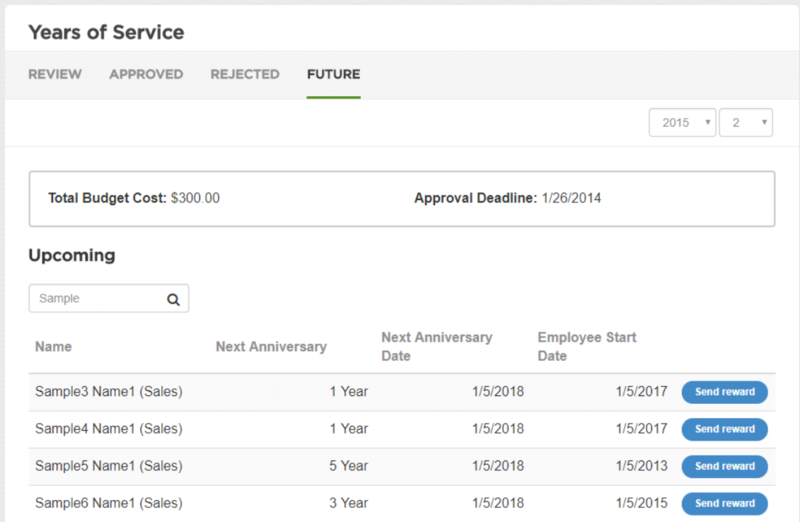 Alert managers and team members to upcoming milestones, automatically send an award to an employee, and have all reporting and approvals integrated within one system. Long term tenure is no longer guaranteed. With that in mind, we recognize the importance of celebrating every employee milestone in meaningful ways. This typically means finding ways to reward each year of service. Our service award platform was designed with two goals in mind 1) simplify the administration and reporting of service awards and 2) recognize employees in meaningful ways. Since 2012, organizations of all sizes have used our service award module to thank employees. Our approach is to help clients customize the employee experience for each year of service. We work together on how to notify managers of upcoming awards, deliver an award to an employee, and help with reporting. Our service award tools automatically alert peers, managers, and executives of upcoming service milestones. This allows colleagues to send timely and meaningful messages to recipients. Our service award programs are tailored to your goals and workflows. Work with our best practice default settings or craft a program with specific rules. Our service award platform is designed to celebrate employee milestones in meaningful ways.